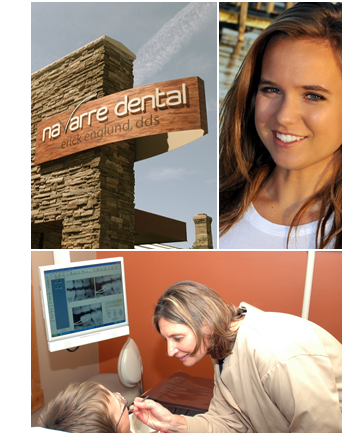 At Navarre Dental, we present practical and thoughtful patient education. Our experienced staff prefers motivation and support rather than lectures. We will be happy to talk with you about the newest options in dental care, from brushing and flossing equipment to gum disease prevention and treatment. We will inform you of all of your restorative or cosmetic options before making a decision together about the best treatment for you. We view our patients as partners in treatment, not just recipients. Dr. Englund will present several treatment options along with suitable timelines. You have control over your treatment choices, and we will work with you to find sensible treatment plans within the current standards of dental care.